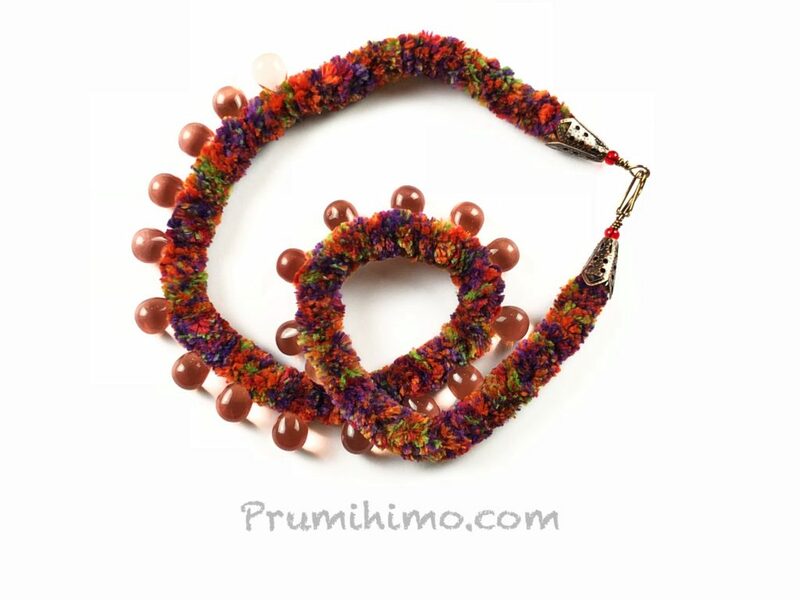 One of the best ways of achieving a unique look is to step away from what is available in bead shops and to hunt down some unusual materials. A great source of unusual textures together with fashion colours is suppliers of yarn for knitting and crochet. It this video I show how to use chenille yarn in three different braid structures. This braid was made on the regular round disk with 8 strands of chenille. It was finished off using the wired method and I made a simple wire wrapped cabochon pendant to hang from the braid. It feels lovely to wear. This braid was made on the Prumihimo disk, using 4 strands of chenille as the thicker cord and 4 strands of S-Lon for the thinner cords. The glass drop beads were threaded onto the top cord at number 3 and were added into the braid every alternate time this cord was moved. 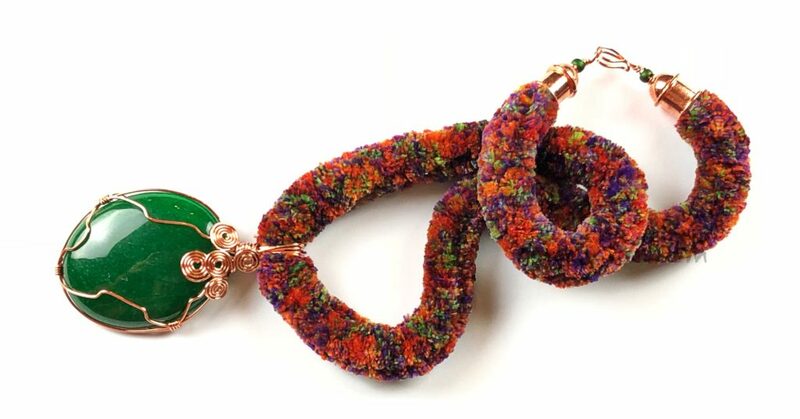 The beads nestle in the fibres of the chenille to produce a very pretty effect. 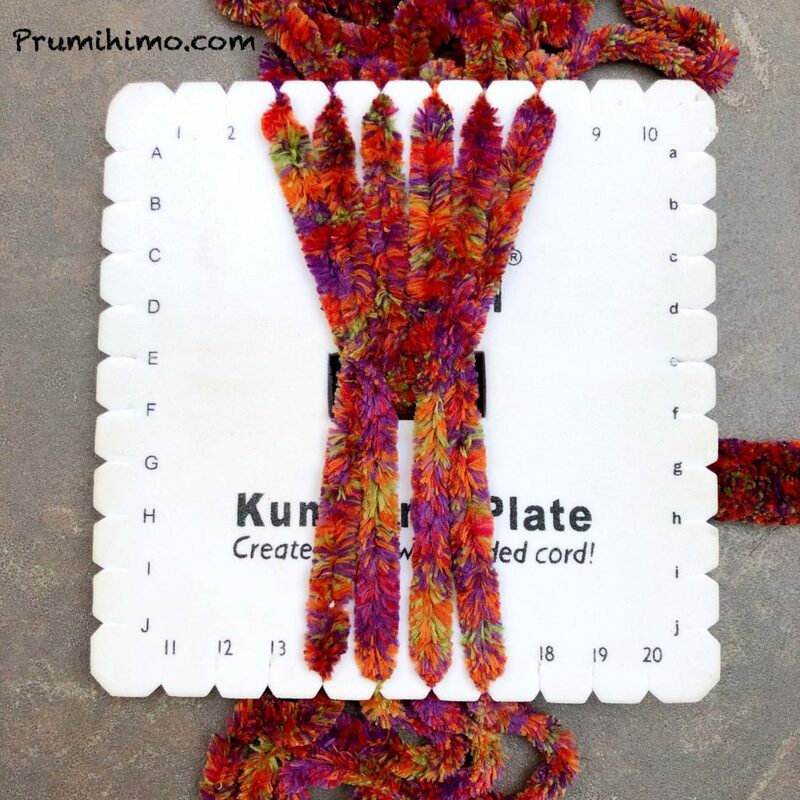 Chenille works up into a lovely semi-flat braid on the square plate. It can be difficult to get the tension even on some flat braid structures, but with chenille I have not found this to be a problem. It is a really lovely yarn to braid with.